Hi there. Just popping in quickly to tell you about the latest Little Tangles Challenge, it's all about creating a gift. I haven't made anything apart from a card for quite a while now so it was fun to make something different. I hope you get a chance to play along. You can link up here. 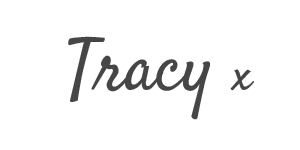 Sweet project Tracy!! I love the pretty green satin ribbon against the black!